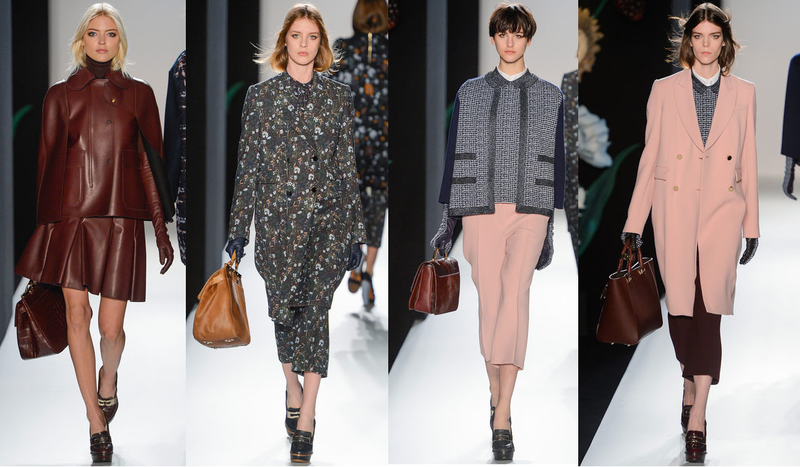 Mulberry, sleek and chique and preppy as always. This season, it was all about skirts over pants, head-to-toe leather, oversized knits and a moody colour palette. Slightly girlish, slightly eccentric and overall a bit strange. But in a good way. And ofcourse, all looks were finished off by a great bag. The outfit on my left is my absolute favorite of this show. How fierce would you look if you strutted the streets in that little outfit?